Belize was initially not a county I was planning to visit on my journey through Central America. My initial plan was to go from Guatemala straight to Mexico. However, that all changed when visiting Útila in Honduras, where I saw some amazing snorkeling and diving videos. Basically, Belize was on the way, and knowing that this country would normally hard to reach from back home in Holland, I decided to not let this opportunity pass by. 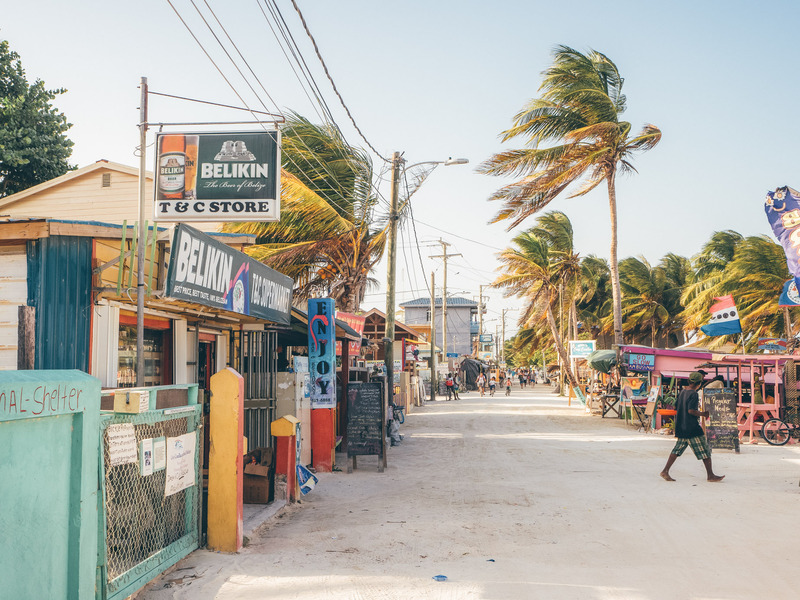 I choose to visit Caye Caulker, a small car-free bounty island perfect for a visit of a few days. Because I just had a few days, the island is small, walkable (there are no cars), and simply looks like paradise. The beach is full of nice places to eat (from restaurants to street food), and the atmosphere is just super chill. Think white sand, blue water, lots of fish to see, local rasta people hanging around and chilling all day, it was just like I imagined it. 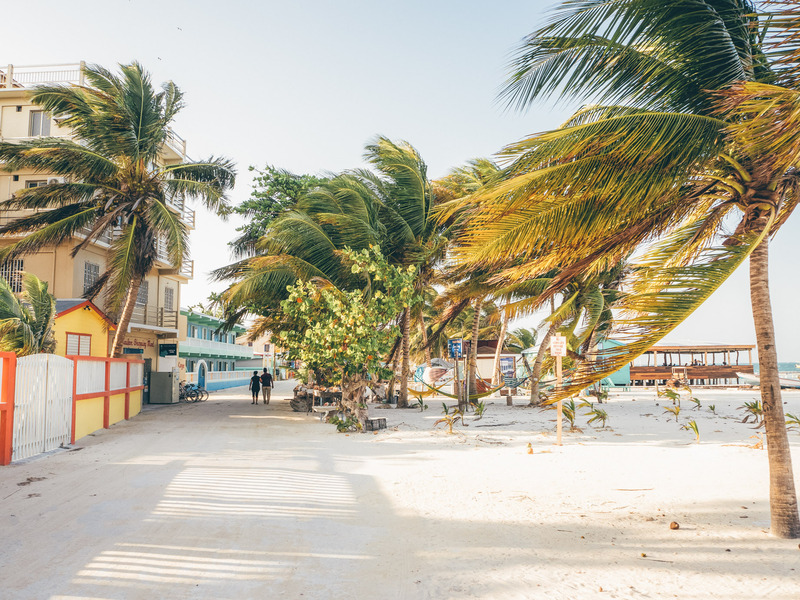 What to do in Caye Caulker? Walk around the island, it doesn’t take that long and it’s just a very nice walk. Caye Caulker consists out of two islands split by a waterway called the split, as a hurricane split the island apart in 1961. Once you reach the split there is a nice bar called the Lazy Lizard where you can go up to have a drink and enjoy the view. Do nothing and just chill or go snorkeling. You will be impressed, I promise. Although it’s not all correct that they feed the fish to attract them, it is super impressive. Go diving, I went diving with Belize Diving Services. Diving in Belize is not cheap, but very high quality. Not only is the water among the clearest I’ve ever seen, never saw I ever so many sharks in one dive, they just kept on coming! And these were not fed ones like while snorkeling. The dives were without any doubt the most impressive ones in my life and I am so glad that I came to Belize for this. I didn’t go to the Blue Hole, but I heard that is also very impressive. Besides that, the diving boat, lunch, and staff were all exceptionally good. Again, diving in Belize is not cheap but definitely worth every single penny. 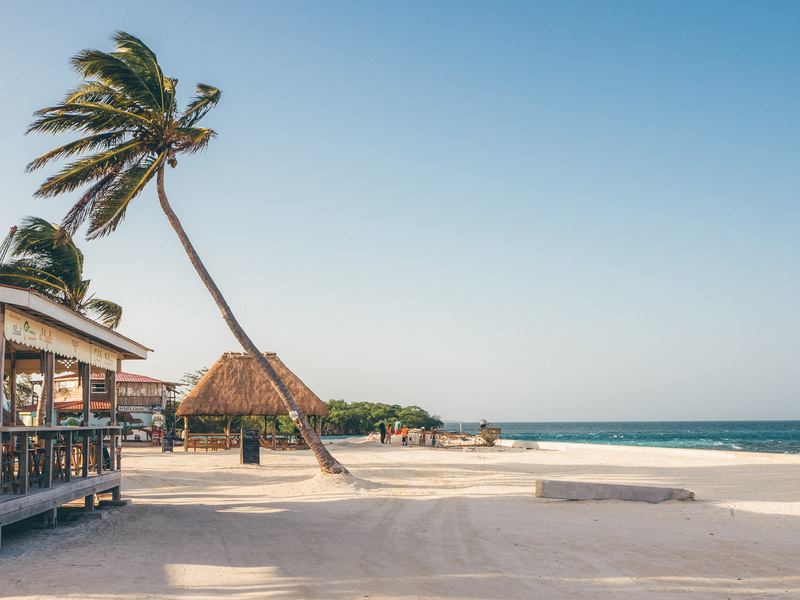 Eat delicious jerk chicken and drink unlimited rum punch on the beach for only USD 7.5 at Bryse’s Beach BBQ, this just made the Belize bounty island experience complete. How to get to Caye Caulker from Guatemala or Mexico? From Flores (Tikal), Guatemala: I decided to not buy a bus / boat combination ticket at one of the travel agents in Flores, as I wanted to avoid a getting on a small tourist shuttle. Instead, I bought a bus ticket directly at the counter in the bus station downtown, outside of the tourist peninsula. Save the effort: I showed up early at the bus station, the bus was indeed a large bus, but this same bus went then to the peninsula to pick up everyone who bought their ticket at the travel agents. Same at the end of the day, except that the travel agent price was slightly lower. Crossing the border was easy, you get off the bus, cross the border by foot, and then get on the (same) bus again on the other side of the border. From Chetumal, Mexico: I went from Caye Caulker on to Mexico, Chetumal. There is a ferry that goes from Caye Caulker with a short stop in San Pedro (where you can go out and grab breakfast) which is located on the neighboring island. You clear Belizian customs in San Pedro, and upon arrival in Chetumal you get your passport stamped in Mexico. Where to stay in Caye Caulker? There are countless nice hotels (not really big resorts) in Caye Caulker to stay at, most of them not cheap. I was alone and backpacking on a budget, so I found an option which is not listed on the major websites: Sandy Lane Guest House & Cabanas. I believe I paid about USD 20,- a night for a private room with shared bathroom. The cabanas were lovely, quiet and the owner was very friendly. It was located right in the middle of the island, which means about 3 minutes walk to the ocean on either side. The ferry dock was about 5 minutes away. Private rooms with bathroom and air conditioning are available for slightly higher prices, but this room was just perfect for me.